Lily Elefteriadou, director of the University of Florida’s Transportation Institute (UFTI), leads the effort on more than $15.7 million in multi-agency grants to transform the future of travel. A civil engineering professor at the University of Florida’s Herbert Wertheim College of Engineering, Elefteriadou focuses on traffic operations and simulation modeling for both traditional transportation, as well as smart cities and self-driving cars. Her research, supported by agencies including the U.S. Department of Transportation, National Science Foundation and the Florida Department of Transportation, is critical to paving the path for autonomous vehicles and smart transportation technology. Recently featured in The Conversation , Elefteriadou explains why all players, including government entities and car companies, must resolve their competing goals for self-driving cars. The U.S. Department of Transportation awarded $14 million to Elefteriadou and the UFTI team for traffic congestion research last year. Known as STRIDE, or Southeastern Transportation Research, Innovation, Development and Education Center, the consortium is a national, multi-institutional initiative to develop novel strategies for optimizing road travel over the next five years. The nine university partners in the region consist of: Auburn University, The Citadel, Florida International University, Georgia Institute of Technology, Jackson State University, North Carolina State University, Tennessee Technological University, University of Alabama at Birmingham, and the University of North Carolina at Chapel Hill. 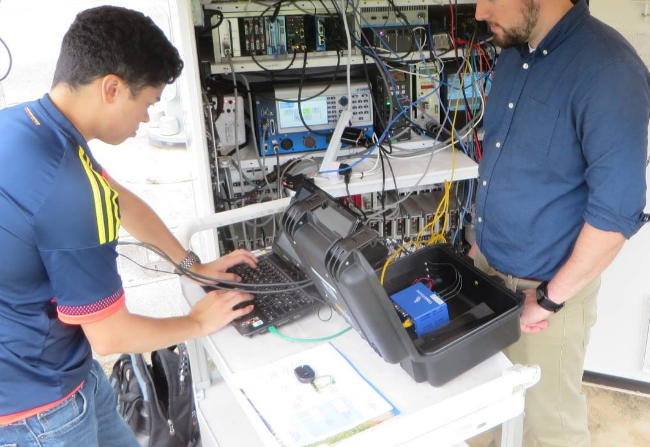 The National Science Foundation awarded UFTI $1.3 million to study “smart” cities where autonomous and connected vehicles and infrastructure can seamlessly communicate with each other. At the state level, the Florida Department of Transportation and City of Gainesville also contributed nearly $500,000, to further explore widespread opportunities of enhanced mobility and safety for highway transportation. 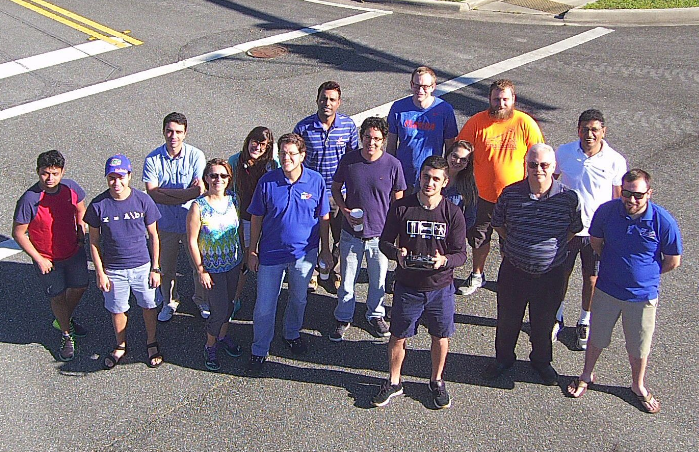 The team behind the project, known as AVIAN or Autonomous Vehicles at Intelligent Intersections and Advanced Networks, is currently developing and testing the necessary software and hardware to enhance traffic signal control operations while providing optimal autonomous vehicle trajectories. The multidisciplinary researchers test these traffic signals while the traffic stream consists of connected vehicles, autonomous vehicles, as well as conventional vehicles. Connected vehicles are those that can communicate with surrounding vehicles and infrastructure using wireless communication. Autonomous vehicles have the ability to operate without a human driver using a variety of sensors such as GPS, lidar, radar, and smart cameras, as well as terrain information.